This set is an analogue telephone. Some had recall buttons. This superset can be fitted with a Dataset 1101 cartridge, which allows the telephone to be used for voice and data communications. 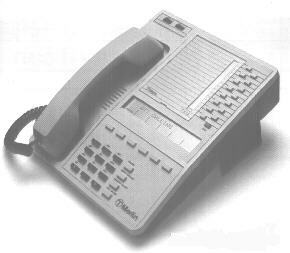 The Superset 4 was originally used an the first generation analogue telephone systems that Mitel produced. All the Mitel systems still support the Superset 4 even though it is no longer manufactured. 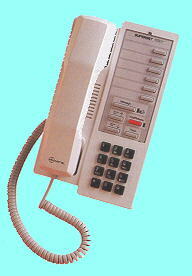 The Superset 4DN is a digital telephone used on the SX2000 & SX50. 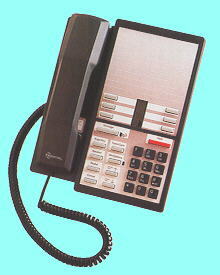 These phones also worked on the Mitel 3300 until software release MCD 4.0. Both these sets were superseded by the 400 series range of Supersets. 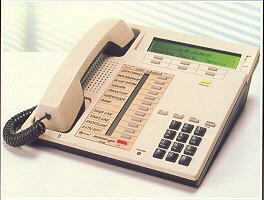 MITEL's advanced microprocessor controlled digital telephones include the Superset 401+, 410, 420 and 430. Supersets 410, 420 and 430 support on hook dialling and bi-directional hands free loud speaking and incorporate a number of line selection keys with line status displays. The available facilities allow Supersets to readily accommodate key and lamp, 'plan' type arrangements and manager / secretary applications. All types, interface via a DNIC port in the SX-2000 via standard 2 wire connections. The stand can be reversed to enable wall fixing. 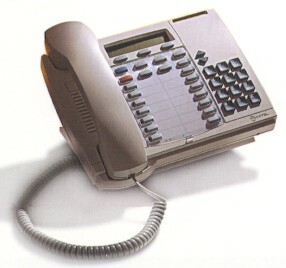 The Superset 401+ is a single-line digital telephone. 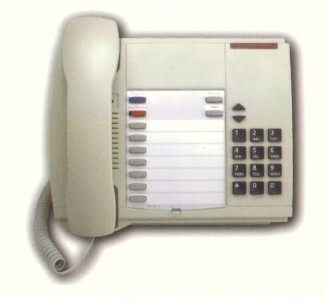 It has a Recall button, MESSAGE button, 6 speed-call buttons, Hold button, a Message indicator LED, and buttons for adjusting ringer and handset receiver volumes. It can be desk or wall-mounted and is available in dark grey or white. The Superset 410 is a digital multiline telephone with the following additions to the Superset 401 +.. 10 fixed function keys, 5 programmable keys that can be used as speedcall keys, feature access keys or line appearances. The Superset 410 supports voice and data communications over the same pair of wires (optional). In addition to Superset 410 features and facilities the Superset 420 telephone provides the following: 6 additional programmable line keys (11 incl.) and 3 softkeys that associate with the LCD displayed features. In addition to the features and facilities offered by the Superset 420 the Superset 430 has: A bitmap graphical LCD display and six softkeys allowing users to easily select features. The Superset 430 offers a full graphics LCD suitable for adding future software functionality. Supersets 410, 420, and 430 can be equipped with additional line keys / status displays with a Programmable Key Module (PKM). A PKM has 30 line keys that can be programmed as line keys, feature keys, or Speedcall keys Programmable Key Modules are ideal for key & lamp emulation, line status displays, or perhaps where secretaries are processing calls for many managers. A PKM is directly connected to a Superset and operates via the same two wires using 2B+D signalling protocols. An AC power adapter is required. The 400 series of Supersets has been superseded by the 4000 series. The latest Superset which supersedes all the above models. The Superset 4000 series digital business telephones comprise of a range of four telephones that boast sophisticated capabilities developed in consultation with Mitel users. Feature- rich and user-friendly, the Superset 4000 Series builds on the guiding design principle behind all Mitel telephones, if the technology is easy to use, people will use it. This range of telephones is connected to the SX-2000 and 3300 ICP via DNIC cards installed within Peripheral Cabinets. Each Superset has a tilting stand to provide several angled positions, wall mounting. 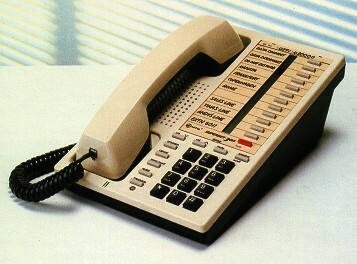 All telephones in the range have visual message waiting indicator "bars", visible from both front and rear. Keys are provided for Speedcalls and single button access to the wide range of system features. 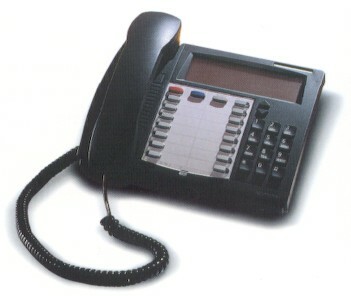 'Up' and a 'Down' keys are provided for controlling handset volume, speaker volume, ringer volume, ringer pitch, and display contrast. A headset socket is provided with all Superset 4000 series with the exception of the Superset 4001. When an approved headset is used, amplification is not required. 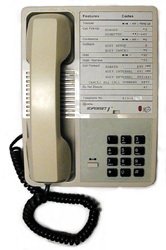 The Superset 4001 is a basic single line digital telephone with 7 Speedcall buttons, a hold/retrieve key, message waiting/ ringing indicator, volume/tone control key, and messaging key. This basic set is an economical solution ideal for both public and multi-user areas such as hotel guest rooms, manufacturing facilities and reception areas, and wherever there is a requirement for high quality secure speech. The Superset 4015 is a multi-line telephone supporting on-hook dialling, and a 20 character alpha numeric display screen - providing caller identification, number dialled, call status and messaging. Advisory messages and call forwarding can be readily activated, and a language selected. This set is also suitable for use with call centre applications, and in multiple line arrangements for telesales or information lines. 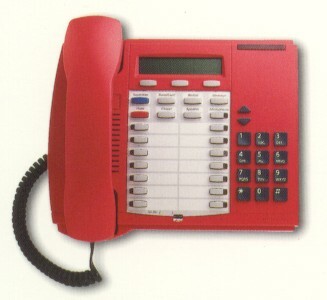 The Superset 4025 is a multi-line telephone with a 2 x 20 character alphanumeric screen and 3 softkeys allowing easy access to features such as 'dial by name'. 14 Personal Keys can be programmed for speed dialling or feature activation. In addition to Superset 4015 features, this telephone supports full hands free operation. The Superset 4025 is an ideal choice for professional, management and call centre staff. An upgrade connector is provided for future enhancements, as they become available. 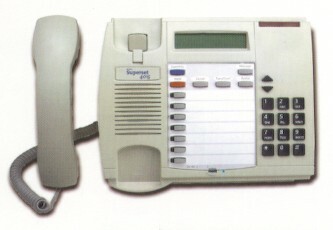 The Superset 4125 has all the functionality of the Superset 4025, plus an RS-232 interface that is used to connect the telephone to a Personal Computer. The Superset 4125, combined with the Mitel Superset TAPI software passes call processing information, such as caller ID, or call log information, from the SX-2000 telephone system to the PC. It also allows access to electronic database information and features that are dependent on the TAPI-compliant applications that a user may have on the PC. 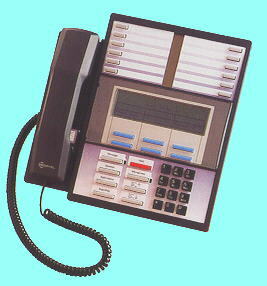 The Superset 4150 is a multi-line telephone with a 40 character, touch sensitive screen with 6 soft function areas. Users are menu guided through the various functions by interactive graphic displays with available options when appropriate. 14 Personal Keys can be used for speed dialling and quick access to features such as 'dial by name', conference call/transfer, etc. This telephone supports full hands free operation. An upgrade connector is provided for future enhancements, as they become available. The Superset TAPI kit is available for this telephone. The Superset 6DN (pictured to the right) is available as a supplementary console to Superset screen based consoles on the SX2000 range, perhaps used during weekends or night service by auxiliary staff. In addition to providing the same call handling features of screen based Superset 6DN also allows the system access to maintenance commands of the SX2000. The Superset 6 was available for the SX50 and only had a two line LCD display. There are two identical sockets jacks on the left side of the console. One is the ordinary jack for the handset or headset which is normally used and the other is the handset/headset jack used by the person training and/or monitoring new operators. The only connection between the console and the SX2000 is a standard telephone cable which is connected to a Digital Network Interface Card (DNIC) via a Line Jack Unit. The console can be located up to 1 Km from the SX2000. Being line powered, no mains connection is required. A printer socket (RS232) is mounted at the rear of the console. This socket can be used to interface to the MITEL recommended printer. Superset 6DN is also known in North America as the SuperConsole 1000. 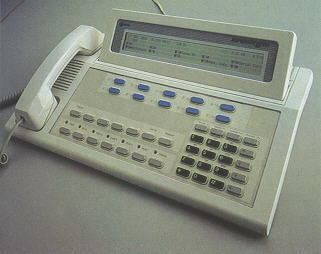 The Superconsole 1000 operator console is used to perform call handling functions as well as some maintenance and administrative functions (such as moves and changes). The 4-line by 80-character alphanumeric display shows source and destination information, time and date information, call waiting information, and station information (such as CoS and CoR values). The Superconsole 1000 operator console is a flatbed, lightweight, (line-powered) switchboard that has been designed for users that do not require sophistication or high call processing rates. Connection is 2-wire using standard distribution wiring and terminating methods. The console can be located anywhere there is a line jack. Interfacing is via the DNI card which has 16 ports, all of which are available for other devices. The Superconsole 1000 has a liquid crystal display, and is capable of answering up to 1500 calls per day. Call information is displayed in plain English (or French, German, or Italian) with incoming calls being queued in order of arrival. The console is a sophisticated and yet simple to use switchboard. It has full access to the SX-2000 integral directory, and to the variety of features via function-related softkeys. The Superconsole 1000 has access to the ICP's integral directory and the variety of system features via its function-related softkeys. The Superconsole 1000 has a back-lit liquid crystal display, for improved visibility in low light conditions. AC Power adapter required for the back-lit display is included with the console. The AC Power adapter is also required with operation of the printer port. The Superconsole 1000 is available in two colors, light and dark grey. 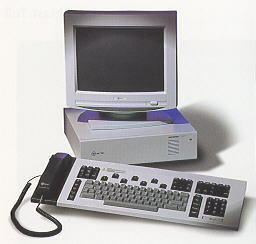 The Superconsole 1000 has full access to the SX-2000 integral directory and the variety of features via its function-related softkeys. An RS-232 serial printer port. Our proposal for the operator switchboard is the Mitel Superconsole 1000 operator switchboard. This desktop console provides a variety of features through function keys and its related series of softkeys. e) Block of 12 dialling keys - used to dial by number or to enter Alpha characters to dial by name. The Superconsole 1000 uses an adjustable liquid crystal display (LCD), 10 softkeys, 14 fixed function keys and a block of 12 dialling keys that have all been designed to make the Superconsole 1000's operation quick and easy for the user. Displaying information such as the time of an alarm call and the number of meter pulses accumulated by a guest. Making day-to-day changes to customer programmable data. For example 'moves and changes' to extension assignments. Limited reprogramming. 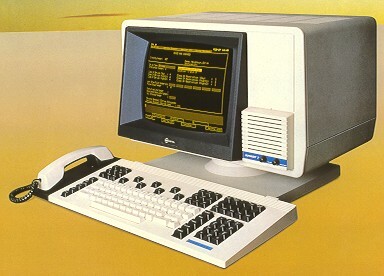 Fifteen of the most commonly used forms can be edited from the Superconsole 1000. Access to these forms is controlled by the Forms Access Authorisation form and by the authorisation level at which the user is logged in. This process uses menus displayed on the LCD panel. These menus are designed to lead the user to the required item of data with the minimum of effort. Display: Back-lit LCD alphanumeric display, 4 lines by 80 characters. Characters are generated in a 5 X 7 dot matrix. voltage range is from 35 to 60 Vdc. Weight: 2.27 kg (5.0 lb.). The Superconsole 1000 is supplied with a power adaptor which is used for the backlighting of the high resolution display, and supporting the console's printer port. Should power be removed, the console can be continue to be used with a fully functioning but darkened display. With removal of power, the printer port will cease to function. The power adapter requires a standard 13A power outlet. Frequently performed console tasks that require several keystrokes can now be automated using macros. A macro is a series of keystrokes assigned to a single key. Instead of repeating the keystrokes each time the task is performed, the macro key can be pressed to execute all the keystrokes at once. The following tasks are ideal for macros. Three hard-keys can be programmed as Macro Keys. The two blank keys, as well as the Trunk Group and Set Page keys, shown below, may be programmed (reprogrammed) as Macro Keys. Handset receive amplification exceeds FCC Part 68 Rules for Volume Control and Hearing Aid Compatibility. Screen based console. Superseded by the Superset 700. CRT (Cathode Ray Tube) sub-assembly, used to display graphics and text. Card cage with the capacity for four cards. Circuit cards required for basic operation. Note:	The SUPERSET 7 may have two or three circuit cards, depending on the type of Controller Card installed. If the SUPERSET 7 has a MC400BB or MC400BC Controller Card installed, the only other card required is a Communications Card (MC403). If the SUPERSET 7 has a MC400BA Controller Card installed, a Communications Card (MC403) and a RAM Card (MC409), must be installed. The SUPERSET 7DN has only the MC410 Controller II Card fitted. •	One card slot available for future expansion. Power supply, operating from any standard electrical outlet. The Superset 700 screen based console is an advanced dual-purpose workstation that serves as an Operators Console and also an administration terminal for reprogramming system data. The Superset 700 console has been designed with the user in mind, aesthetic design, clarity of displays, and the careful layout of soft and dedicated keys that make operation fast and simple. The Superset 700 console has been ergonomically designed to offer an adjustable screen position, with detached keyboard to ensure maximum operator comfort. The keyboard is divided into functional areas, so there is a group of Call Processing keys, a group of Cursor Control keys etc. Only a few keys are used for each activity, which means that a new user can very quickly become proficient. For instance, an operator will only use the Call Processing keys and the self-explanatory Soft keys. Your existing operators will be surprised how quickly they become familiar with Superset console. A printer socket (RS232) is mounted at the rear of the console which can be used to interface to a MITEL recommended printer. Standard typewriter layout used for text and command input. Editor-function keys provide text editing functions, such as delete, insert and search. Call processing keys and dial pad permit easy access to call-handling and processing features such as hold, release and answer. PC based console. A special interface card fits into a PC and this card is connected to a Console port on the SX2000. 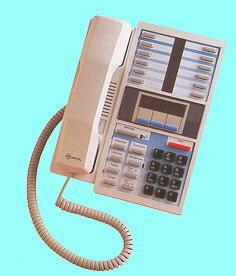 A handset and software are also supplied. For a description of the Superconsole 1000 see the Superset 6DN. 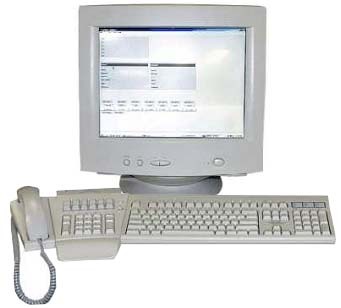 Call-handling keyboard with mains power supply. Keyboard (connected to the SX-2000 via a standard DNI port and to the PC via a USB port).